It’s not often you get to discover a hidden secret in Europe, but that’s exactly what happened when I visited Luxembourg. And the secret? 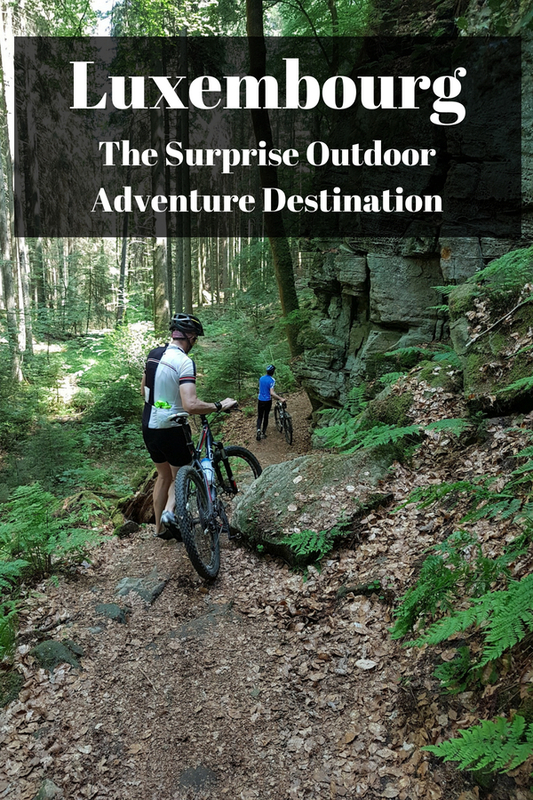 It turns out that Luxembourg is a great little outdoor adventure destination! As a first time visitor to Luxembourg, my preconceived ideas of the country were probably similar to other people’s who have not visited – Luxembourg is a small country that has a reasonably well known city and not a lot else. Wrong! To my surprise, Luxembourg is far more than that. 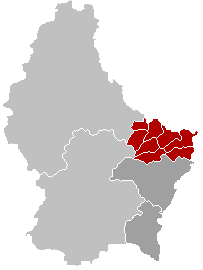 In fact, it is the same size as an English county (Northamptonshire to be precise, which I mention in my Fun Facts about Luxembourg article). This means that there are a lot more green bits to it than you might think, all of which are aching to be explored. When it comes to the green bits of Luxembourg, it doesn’t get much greener than the Mullerthal region. This little slice of paradise is like an oasis hidden away in the east of Luxembourg so that only the locals know about it. Ok, that might be an exaggeration, as the area seemed to be popular with Dutch motorhomers, but I’m pretty certain that 99% of Brits haven’t heard about it. Which is a shame, as you could easily reach the Mullerthal for a long weekend break from the south of England if driving, or anywhere else that has flight connections. Over in the north of the country, is the Eislek region. This is another good contender for the title of ‘fabulous green bits of Luxembourg'. 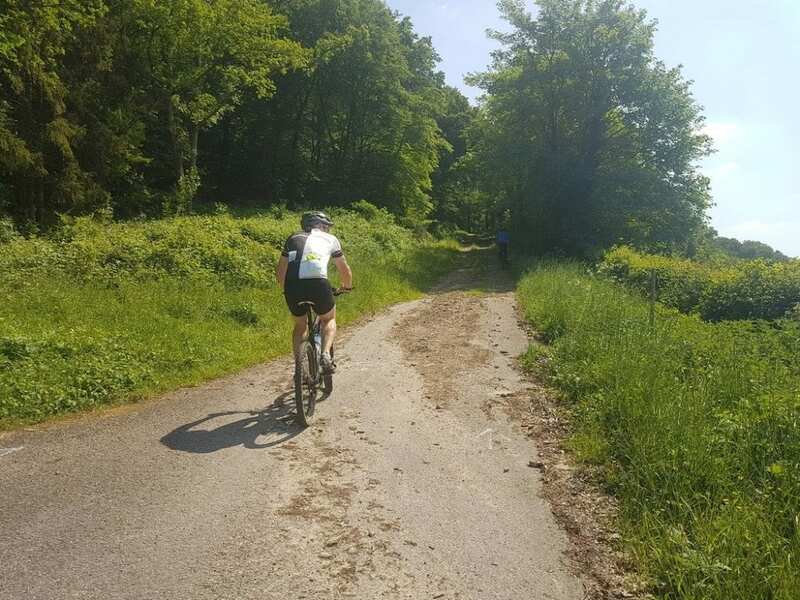 Notable for its green spaces and valleys, it's another hiking and cycling destination due to the beautiful countryside that is peppered with castles and pretty towns and villages. So why would you want to visit Luxembourg for outdoor adventure then? Well, why wouldn't you? Compact enough that you can get around easily, but varied enough so there’s always something to do, you can take your pick from hiking, cycling, kayaking, and even parachuting if you want! 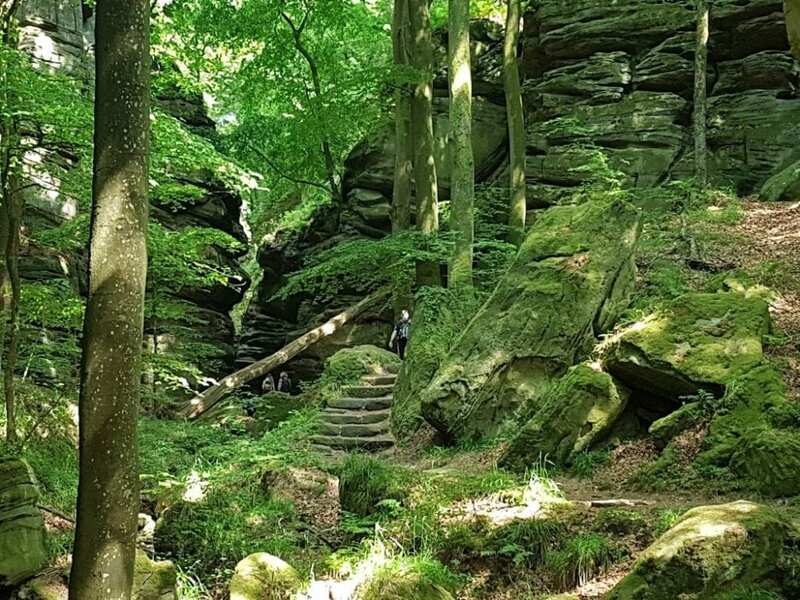 For people who love the outdoors, the Mullerthal Trail in Luxembourg is calling. This 112 km circuit is made up of 3 tracks, most of which is very well signposted. You can hit the trail hiking or cycling, for which a MTB is the preferred choice of bicycle. Road cyclists will also be pleased with cycling in the region. Known as Little Switzerland, there are plenty of climbs to find, and what little traffic there is respects cyclists. There's plenty of campgrounds to choose from when looking at where to stay in the Mullerthal of Luxembourg. Many of these are based directly on the Mullerthal Trail, so you can literally hike or cycle straight from your campground. When I visited the Mullerthal, I stayed at Camping Kengert. This had a mix of options, including pitches for tents and motor homes, as well as on site cabins. The site even had a swimming pool! I didn't get to use it this time around, but maybe next time! The Eislek region is home to 2 nature parks – the Nature Park of the Upper Sûre and the Nature Park Our. As you might expect, this opens up plenty of opportunities for outdoor activities in the area! Many hiking paths criss-cross the region, but perhaps the most well known is the Escapardenne Lee Trail. I hiked a 15 km section of this trail, which showcased many different aspects of the countryside, from ridges, to forests and in-between. 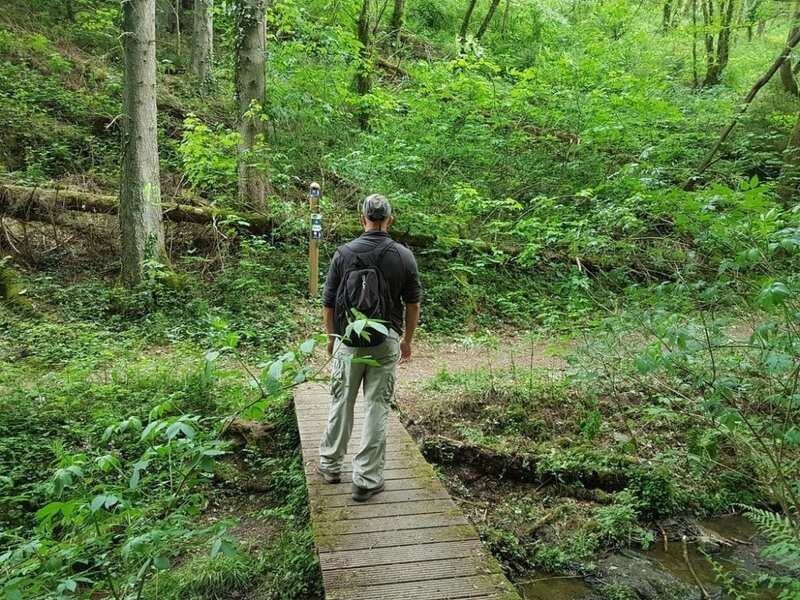 I will be writing more about my experiences on this hiking trail in Luxembourg in a future blog post. 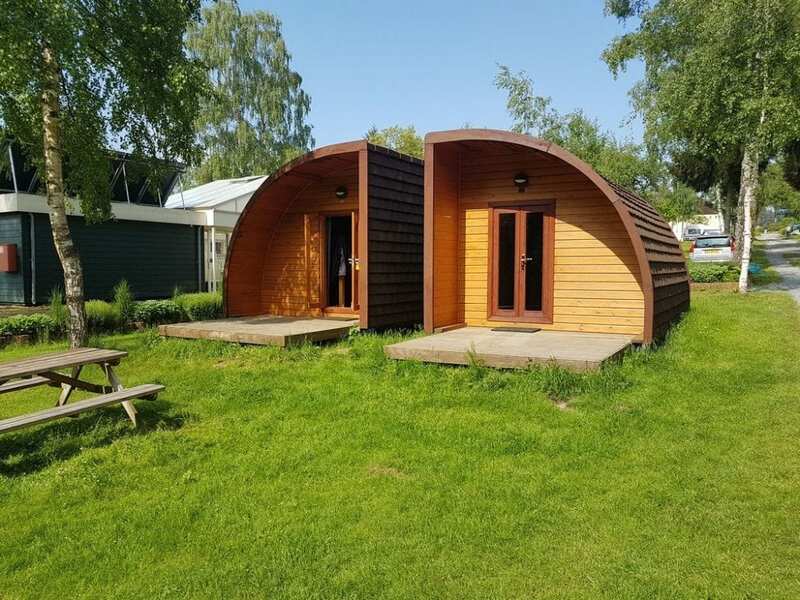 As with the Mullerthal, there are countless accommodation options, with camping perhaps being the best choice for outdoor types. I only stayed one night in the region, at Camping Kaul in Wiltz. Camping Kaul was suitable for motorhomes, tents, and also had some rather excellent glamping units and safari tents! Interested in finding out more about outdoor adventure in Luxembourg? In addition to the resources provided above, you might like to check out the Visit Luxembourg website. There's plenty of info there to help you start planning an outdoor holiday break in Luxembourg! You can also read more about my time in the country – Luxembourg – A 3 day outdoor adventure itinerary.